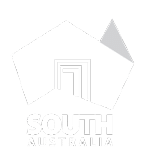 The South Australian wine industry is worth $2.11 billion to the state’s economy. But keeping South Australian vineyards free from phylloxera and other pest threats has never been more challenging. There has been a doubling in the number of exotic plant pest incursions in Australia in the past seven years. And phylloxera is being detected in more vineyards in Victoria. 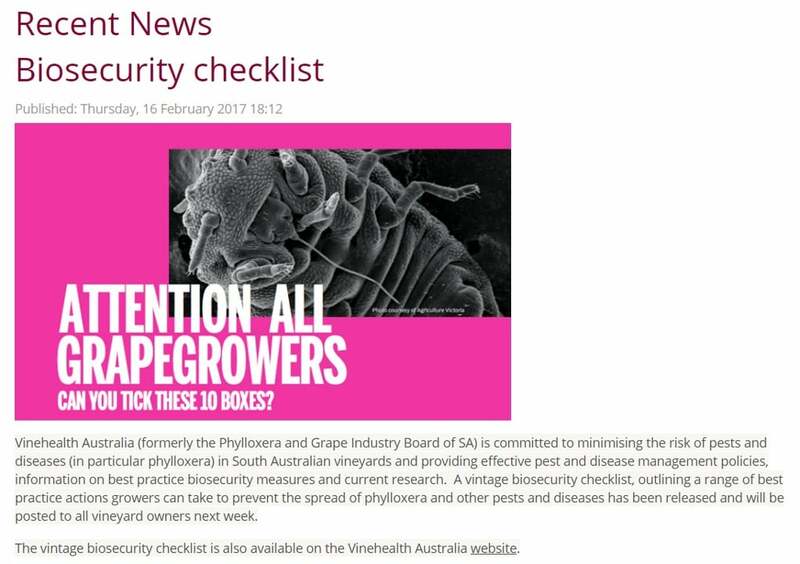 Of the pests and diseases we have in Australia, the greatest threat to South Australian vineyards is grape phylloxera. In Australia, we know that increasing numbers of people are visiting our vineyards. They are tourists, contractors, sales and supplier representatives, researchers and others contributing to operational management. Every valued visitor to your property, however, increases the risk of bringing in or spreading, pests, diseases and weeds, potentially compromising your most valuable asset, your vines. Your risk not only lies with people’s shoes and clothing, but with phylloxera in particular, it can also be spread on tyres, machinery, equipment, tools and grapevine material and grape products. Undertaking a set of site-specific biosecurity activities to minimise the risk of pest, disease and weed incursions on your property is a must. These farm-gate hygiene activities should be part of your standard operating procedures. Adherence to farm-gate hygiene systems should be an expectation for staff and visitors throughout your vineyard, winery and cellar door. Best practice hygiene doesn’t have to be difficult or expensive. We have plenty of information in this section to help you on your biosecurity journey. TIP 1: Start by ensuring you are recording who’s coming onto your property and asking what wine regions they’ve been in, in the three weeks prior. This will help you to understand and then manage the risk they pose to the health of your vines. Click here for a Visitor Sign In Register (word) or Visitor Sign In Register (PDF). TIP 2: As a vineyard owner, you have an obligation to ensure you understand and comply with conditions of entry to your state and Phylloxera Management Zone for the movement of products relating to winegrape production (grapevine planting material, grapes and grape products, machinery and equipment, and diagnostics samples). TIP 3: Planning for vintage activities? Understand what you can do during vintage to reduce your biosecurity risk by reading our vintage toolkit here. If You Spot Me, Report Me! TIP 6: Looking for appropriate signage you can use for non-consumer facing entrances to your vineyard?. Click here for signage options. TIP 7: Need help on where to start with disinfestation kits to disinfest your visitors’ footwear and small hand tools?. Click here. TIP 8: If you’re considering making your vineyard available for others to run sheep, understanding associated biosecurity risks when entering into an agistment agreement can avoid a pest, disease or weed being inadvertently moved onto your vineyard. Click here for more information. Got any questions on farm-gate hygiene? Try these Farm-gate hygiene FAQs or call Vinehealth Australia on (08) 8273 0550.